Brassens sings Paul Fort’s poem, in which he recalls, in his view, the finest day of the Belle Époque- the day he attended the mass tribute at the funeral of one of the most prominent Bohemian geniuses of the age – Paul Verlaine. The date is early January 1896 and the scene is the Boulevard Saint Michel (referred to colloquially as the Boul’ Mich) in the Latin Quarter. The backdrop is beauty and elegance in an era when the good things in life were enjoyed. It was a time when talent was respected and a time of tolerance. The people of Paris, supported their eccentric poet, Paul Verlaine, at the end of his scandalous, dissolute life and they turned out in force for his funeral. Thousands of them thronged the elegant boulevard on that cold winter’s morning. However, as far as Paul Fort was concerned, not one of the people present came close to equalling the stature of the dead man. Au convoi d'un grand mort suivi de miniatures ? N'importe ! Lélian,(5) je vous suivrai toujours! Premier ? Second ? Vous seul. En ce plus froid des jours. Vos deux gardes du corps, - entre tous moi dernier. For hearse of a great man with lesser folk behind? Dead at last, of the first nightingale of the French. No matter ! Lélian, I’ll follow you always. Your two pall-bearers- among them, me, at the back. (1) L’enterrement de Verlaine. -Verlaine was only 51 when he died. During his last years in Paris, he had descended into alcoholism and drug addiction. He lived in poverty in slum lodgings and passed periods in public hospitals. 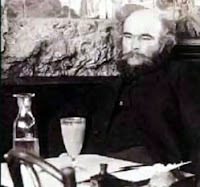 He spent his days drinking absinthe in Paris cafés and this is a photo of the poet around 1895. Throughout this time, he continued to be acclaimed the leading poet of France. (2) Le premier rossignol de la France – Fort appears to be making the very controversial claim that there had been no previous French poet to equal Verlaine. Many people would propose different candidates for this first position – Musset, Vigny, Hugo etc. If he is merely saying that Verlaine had been given the honorific role of “Prince des poètes”, this is factually true as he held this title from 1894 until his death. If he is saying that Verlaine brought a unique musicality to French poetry many would agree enthusiastically. (3) François de Montcorbier is the correct family name for the great French poet, François Villon (1431- some time after 1463) – His most famous poem “Où sont les neiges d’autan”. Fort appears to confirm that his intention was to designate the leading French poet ever in French literature, when he concedes that the distinction he had first claimed for Verlaine rightly belonged to Villon. (5) Lélian, : Pauvre Lelian is an anagram which his close friend and fellow poet Rimbaud, had formed from the name “Paul Verlaine”. In the nickname there is perhaps implied some mockery of Verlaine’s over-feminine sensitivity. Verlaine had married a young girl, Mathilde in 1870, but, a year later, he fell in love with the poet Arthur Rimbaud, who was a seventeen year old student. By 1872, he had deserted his wife and child to be with his young lover. Their relationship was tempestuous and in 1873 Verlaine shot him in the arm during a drunken quarrel. He served an 18 month prison sentence as a result. (6) folle d'une espérance désespérée – We can only speculate why the poet, Paul Fort, felt so emotional about the dashing of his personal hopes. Perhaps he is thinking bitterly of the high hopes he had had for the Théâtre d' Art which he had founded in 1890, while he was a student at the Lycée Louis-le-Grand in Paris. His aim had been to promote the work of people in the arts, including his friend, Paul Verlaine, and Paul Gauguin. The venture survived no more than a couple of years. (7)Montesquiou-Fezensac. To modern readers, the two proper names on the penultimate line must be meaningless, but these were big, well known personalities in France at the turn of the 20th century. 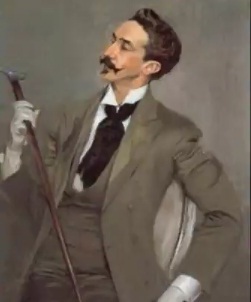 The Comte Robert de Montesquiou-Fezensac was a descendant of d'Artagnan, whose tale is told in Dumas’ « The Three musketeers.” Montesquiou-Fezensac attempted Symbolist poetry and was an art collector and homosexual dandy. It is believed that he was the model for the Proustian character, the Baron de Charlus in Proust’s “À la recherche du temps perdu”. (8) Bibi-la-purée – This was the name by which André Joseph Salis de Saglia was known. 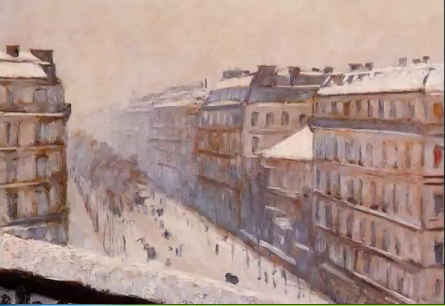 He dressed like a tramp but was one of the leading personalities of the Latin Quarter at the time and was given the title of le roi de la Bohème. He appears in the poetry of Verlaine, in James Joyce’s Ulysses and is seen in a Picasso painting. On the morning of the funeral, he took up position by the coffin on the strength of his claim that he had been the dead man’s secretary and lover. This could have been true although he was an inveterate liar. Montesquiou, who was a pall-bearer, then intervened to protest that his ragged, eccentric dress was not in keeping with the dignity of the occasion. Bibi-la-purée was moved to a less conspicuous position, where, it is said, he took advantage to pilfer a number of unattended mourners’ umbrellas. By the end of the day, the snobbish aristocrat and the professional bohemian were reconciled and were chatting intimately, using the “tu” form. (9) Paul Fort - He was born in 1872 and in 1912 he was given the title of “Prince de Poètes” which he held until his death in 1960. He was a lover of the French ballad and the folk tradition. His verse, clear and rhythmic, converts fairly readily into song lyrics. Other poems by Fort on which Brassens based songs were: Le Petit Cheval – La Marine – Comme Hier – Si le bon dieu avait voulu – He recorded (spoken only) Fort’s poems – Germaine Tourangelle -Petit Verglas. Brassens also wrote a poem to commemorate Paul Fort’s funeral: L’enterrement de Paul Fort. These are lines, of course, familiar with most students of French - and that says a lot about Verlaine’s pre-eminence in French literature.! Paul Fort is describing here a precious memory of an outstanding event in his life. My French professor used to tell an anecdote about the previous holder of his post. Although this, by then, old man was a lover of France, he had never visited Paris for fifty years. Born in the 1870s, he had lived in Paris at the turn of the century. 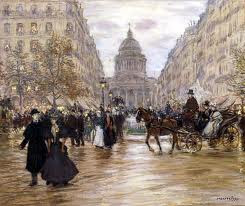 He knew a Paris where elegant people drove around in horse drawn carriages and the streets were lit by gaslight. He had not the heart to return to Paris and erase this splendid image by superimposing that of modern Paris. Uploaded by irisfromparis. - Explore more music videos. Your blog looks very cool. Try document translation services for great translation service at reasonable price. It also offers legal document translation, ATA certified translation, language translations services and much more. Very nice songs, love listening them at night. very well explained thanks for sharing your valuable blog these are very useful to me.